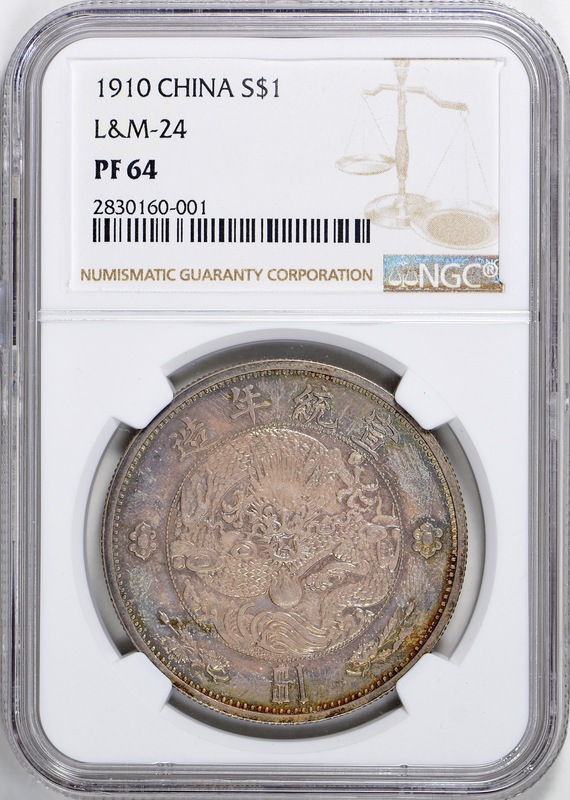 China ND (1910) Silver Dollar Pattern L&M-24 NGC Proof-64 (Toned)。K-219; WS-0036.An impressive and beautifully toned example of this rare pattern type, made all the more desirable being only one of six pieces to be graded as a proof striking. Old envelope toned on both sides showing vibrant golden yellow, orange, cobalt and plum hues throughout each side. The second finest proof striking, being the finest at NGC. From the Cherrywood Collection.